In 1970, the first SOS Children's Village was implemented in the capital of Honduras. Owing to high crime rates, a high incidence of poverty and unemployment, the city of Tegucigalpa remains a harsh place for young children to grow up in. SOS Children's Villages continues to support the most vulnerable children and young people of Tegucigalpa. Children under the age of 15 account for roughly 40 per cent of the country's population. 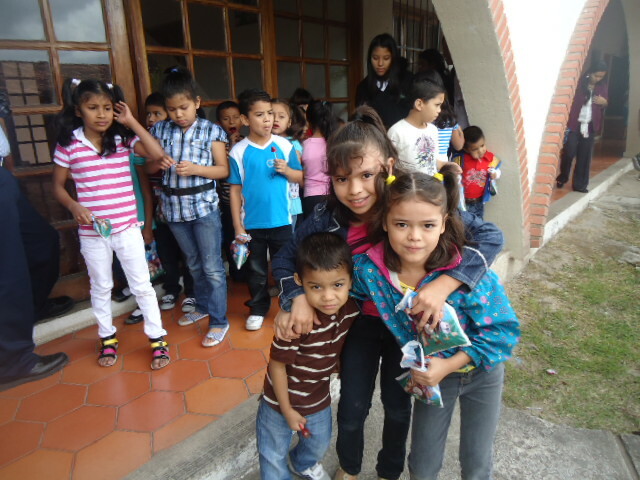 Nonetheless, tens of thousands of children in Tegucigalpa live a life in unimaginably challenging conditions. Malnutrition, poor infrastructure, high child mortality and brutal gang violence mark their every-day lives. An increasing number of them join one of the "maras" (youth gangs) in search of support and protection, particularly in the country's capital Tegucigalpa. Joining the maras often marks the beginning of a vicious circle of poverty, crime and drugs that many children are not able to break once they become adults. The average age of new gang members has been falling dramatically over recent years. Children are mostly recruited in marginalised, poor neighbourhoods of Tegucigalpa where family structures are either weak or non-existent. In the streets of Honduran cities, children selling merchandise, shining shoes or cleaning cars at traffic lights can be seen everywhere. Instead of attending school, most of them have to work in order to financially support their parents. The Honduran government has implemented a number of projects to help vulnerable children in the country but a great need for long-term alternative care remains. Over 150,000 children in Honduras grow up without parental support, many of them in the country's capital Tegucigalpa. Deprived of a decent education, a high number of these children do not know how to read or write. They grow up in inadequate conditions that constrain their mental and physical development. In order to offer these children a brighter future, the presence of SOS Children's Villages in the region is now more important than ever before. The SOS Children's Village Tegucigalpa has been providing support to the children and youths of the region since the early 1970s. It used to be located in Colonia Kennedy but was moved to a new site near the airport, in the southern part of Tegucigalpa in 1995. Our organisation has been supporting marginalised and poor families through a holistic package of services. These include loving homes for children who grow up without parental care and an SOS Youth Care Programme. Children whose families can no longer take care of them can find a loving home in one of the 15 SOS families. A library and a large playground, where children can enjoy their spare-time, have been added to the SOS premises. Because water is sometimes scarce in and around Tegucigalpa, the SOS Children's Village even has its own well. At our SOS Youth Care Programme, young people receive counselling and support by our professional SOS staff.